I started playing Ghost in the Shell Stand Alone Complex First Assault Online after I grabbed it off of the E3 2016 Digital Ticket Humble Bundle. 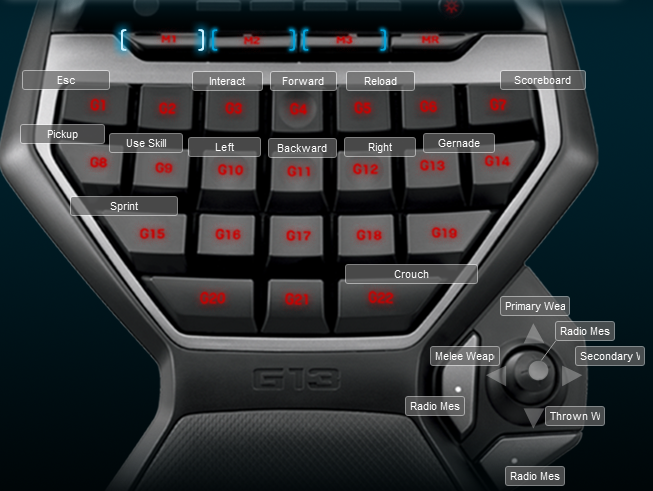 Of course it doesn’t have a default profile for the Logitech G13 so I ended up creating one. I am definitley enjoying the game it is a fun free to play FPS. I have the keyboard configured just like a typical first person shooter and then I added support for the skills that you can use in the game. The skills and sharing them adds a different element to the game that makes it interesting compared to other FPSs. I doubt I will play too much more of it however because I have so many other games I have picked up since. Below is a screenshot of the keyboard layout.